It was midmorning when I caught this eagle heading into the trees. He is carrying his fresh caught fish tucked up against his tail. 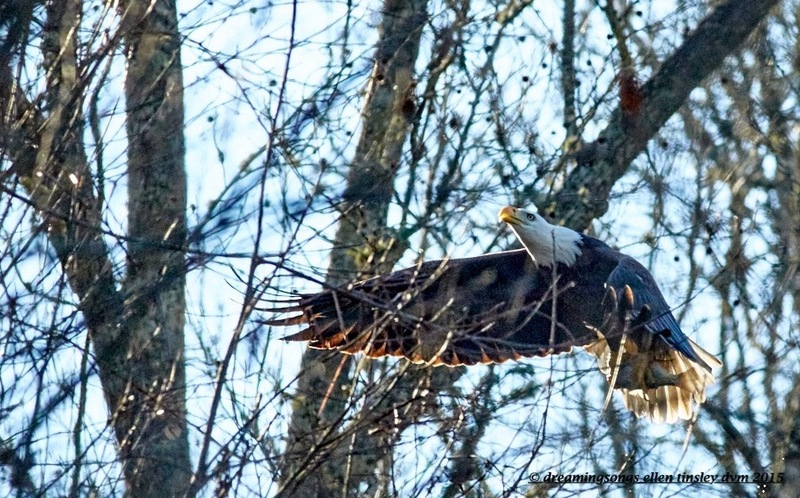 Posted in birds, Eagles of Jordan Lake, Haw River, Jordan Lake, photography, raptors, wild birds and tagged as American bald eagle, bald eagle, bald eagle flight, bald eagles of Jordan Lake, Jordan Lake.